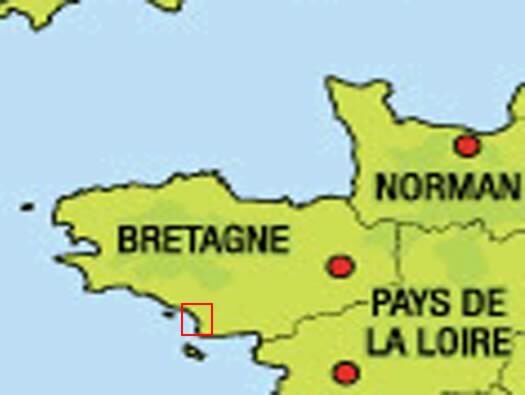 Wn Lo24 is situated up the coast on the western side of Lorient. 1 - gun garage & observatory. 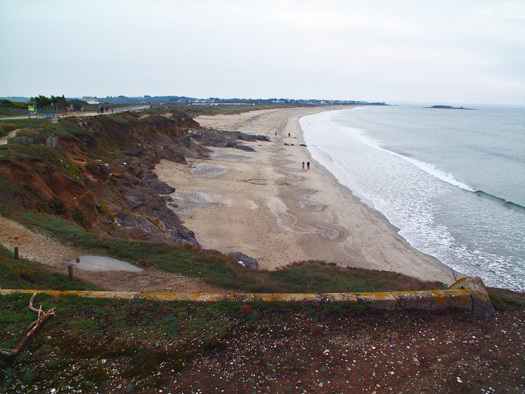 Lo24 Take the Ploermeur road out of Lorient and then D162e to Fort Bloque and turn right along the coast road D152. Wn Lo24 covers all in the picture, unfortunately in 2002 I had no real idea what was here. 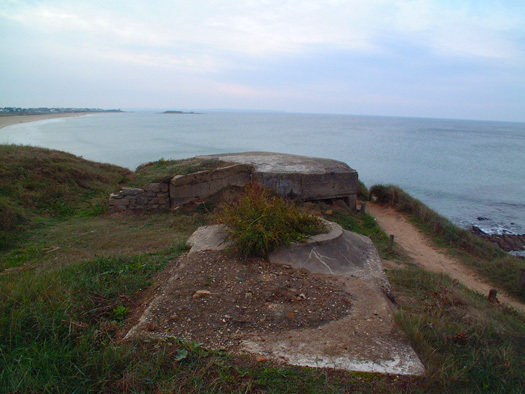 I started looking at the small promontory which included the Sk, R693, R667 & three tobruk's. I only found two Tobruk's the R693 & the R667. 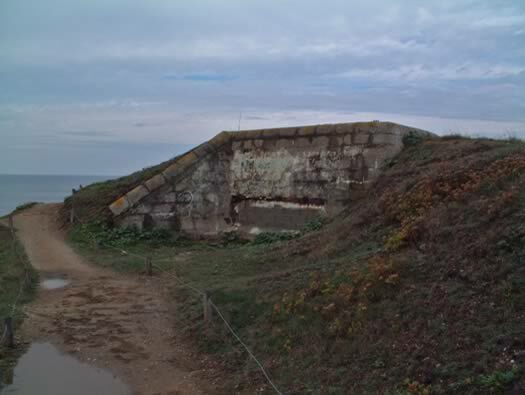 R634 six embrasure turret bunker. R693 a small flash spotting post. 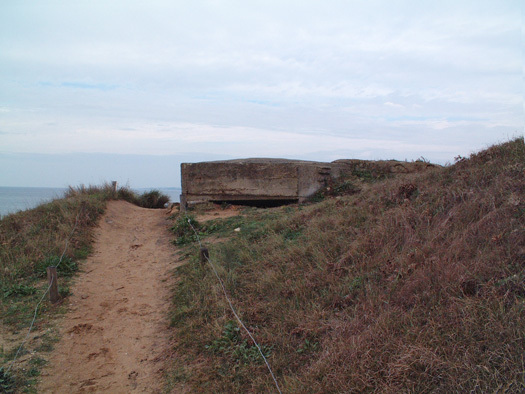 Standing on the R667 casemate looking away from Wn Lo24. Vf58c Tobruk with an R693 small flash spotting post. 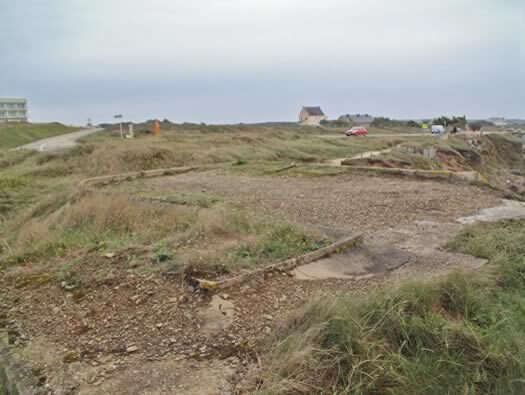 The Tobruk is a Vf58c standard type where eight were used her at Lo24 and many hundreds all along the Atlantikwall and were still being built along the German border in 1944/5 as a last ditch defence. 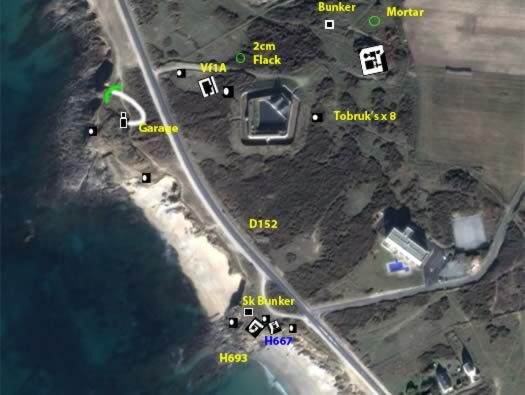 A plan of this part of Lo24 with the three Tobruk's and Sk bunker (possibly accommodation) an R667 casemate for 5cm Pak gun and this R693 the first I have ever seen. R693 Small Flash Spotting Post. What is a flash spotting post??? 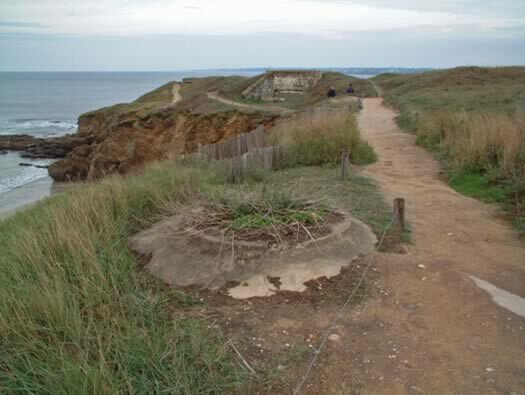 "Flash spotting involved the observation of the flashes from enemy guns to locate their position. It was only effective when all observers concentrated on the one target at the same time." Great War Forum. R667 Casemate for a 5cm KwK A/T gun. The rear entrance has now been filled in. Rear entrance and how it should look. The front face of the R667. Machine gun fitting in a Tobruk. Machine gun fitting for a Tobruk.